W. Leroy & Glenda E. Frasier Wilson began working in the funeral business in 1964. Many "dates" were spent driving to casket warehouses to pick-up a casket. They married in 1965 and lived next door to the funeral home. Glenda worked at a local insurance office while Leroy went to embalming school at John A. Gupton School of Mortuary Science in Nashville, Tennessee. It took 5 years for Leroy to serve his apprenticeship and get his funeral directors and embalmers license making a grand total of $1.90 per hour. Leroy took a part-time job driving a tractor-trailor truck making $5.37 an hour. The opportunity came in 1976 to purchase part interest in a local funeral home about one mile from where the Wilsons began their funeral service career. Leroy continued to work part time in the trucking industry while Glenda worked full-time at the funeral home. The partner became sick and the funeral home name was changed to W.L. Wilson & Sons Funeral Home in 1977. Their sons, Walter Dewayne Wilson born in 1967 and David LaBron Wilson born in 1970, were raised in the funeral home and ambulance business. It didn't take long for Leroy & Glenda to realize that the previous owners had not handled business affairs in the correct manner. They found themselves with a $360,000.00 indebtness. This did not include the daily operations and mortgage on the building and property. Knowing that God had directed their paths in every area of their lives-they had prayed and knew that He would continue to direct them. There were many heartaches, hardships and hard times but God was faithful. It took 17 years to pay the debt and have things on a 30 day basis. In August of 2001, the Wilsons purchased 3 area funeral homes, J. Avery Bryan Chapel in Chickamauga, GA, Wallis-Stewart Funeral Home in Ringgold, GA and LaFayette Funeral Home in LaFayette, GA.
God has blessed us abundantly, above and beyond, more than we could have ever asked or thought. Our goal from the begining has been and remains to have The Lord first in our lives and business and to serve people. W. Leroy & Glenda E. Frasier Wilson began working in the funeral business in 1964. They married in 1965 and lived next door to the funeral home. Glenda worked at a local insurance office while Leroy went to embalming school at John A. Gupton School of Mortuary Science in Nashville, Tennessee. It took 5 years for Leroy to serve his apprenticeship and get his funeral directors and embalmers license making a grand total of $1.90 per hour. Leroy took a part-time job driving a tractor-trailer truck making $5.37 an hour. The opportunity came in 1976 to purchase part interest in a local funeral home about one mile from where the Wilsons began their funeral service career. Leroy continued to work part time in the trucking industry while Glenda worked full-time at the funeral home. The partner became sick and the funeral home name was changed to W.L. Wilson & Sons Funeral Home in 1977. They are both graduates of Rossville High School, Leroy - Class of 1962 and Glenda - Class of 1965. They have two sons, Walter Dewayne Wilson born in 1967 and David LaBron Wilson born in 1970, they were raised in the funeral home and ambulance business. Leroy is a licensed Funeral Director and Embalmer in both Georgia and Tennessee as well as a licensed insurance agent and Emergency Medical Technician. Leroy and Glenda have served on many area state and local advisory boards, and are very active in their community and area churches. They are current members of Ridgecrest Baptist Church in Rossville, Georgia where Leroy enjoys teaching and Glenda enjoys loving the children. They are members of Rolling Thunder Tennessee Chapter Two. They enjoy riding Harley-Davidson motorcycles and traveling in their motorhome. David is the youngest son of Leroy & Glenda and has grew up in the family business since age six. He is a graduate of Lakeview Fort Oglethorpe High School Class of 1988. He attended Walker Technical College and received his Emergency Medical Technician's license in 1988 from the State of Georgia. He graduated from Gupton-Jones Mortuary College in 1991 and is a licensed Funeral Director and Embalmer in the State of Georgia. David is the Vice-President of Wilson Funeral Homes and is the manager of the LaFayette Chapel. David is also a certified crematory operator. David married his childhood sweetheart Monica Joy O'Neal in June of 1991. They reside in ChickamaUGA, Georgia with their four children: Spencer, Shelby, Speshal Joy and Splendor Pearl Wilson. Along with spending time with his family, he is a member of Shiloh Baptist Church where he serves as a Deacon, Sunday School Teacher, Junior Church Leader and on the Men's Ministry Team. He is the former Chairman of the Catoosa County Chamber of Commerce and is active serving their community through various organizations. David is a avid Georgia Bulldawgs fan, enjoys riding all kinds of motorcycles, boating and fishing. Robbie helps coordinate and manage the daily operations of the four chapels of Wilson Funeral Homes. He works behind the scenes to coordinate the necessary staffing and resources to make each chapel successful in providing the care that the families that we serve deserve. Robbie is a graduate of Rossville High School Class of 1975. He is the proud father of five children: Robbie Lee, Kris, Jessica, Chase and Lexis. He resides in Chickamauga, Georgia is a avid Georgia Bulldawgs fan and Cinncinatti Reds fan. Robbie is involved in many civic and charitable causes and serves past and present on numerous committees and boards including local government in his home town of Chickamauga, GA.
Terry is a veteran member of the Wilson Funeral Home team. He is an experienced Funeral Director, Embalmer, and certified crematory operator, taking great care and pride in each task he preforms. Terry and his wife Cecilia make their home in Tunnel Hill, GA.
Steve is an apprentice GA Funeral Director, licensed TN Funeral Director, licensed insurance agent and certified crematory operator. He and his wife Melisa help produce many of our tribute DVDs. Steve and Melisa make their home in Chickamauga, GA.
Bo is a graduate of Lakeview Fort Oglethorpe High School - Class of 1988. After high school he began working on the ambulance with the Wilson family from 1989 until 1994. He graduated as a EMT from Walker Technical College in 1989 and went on to be a paramedic graduating from Dalton College in 1991. Bo rejoined the Wilson family again in 2007, when he became a apprentice funeral director. He graduated from Jefferson State College of Funeral Service in 2013. He is a licensed Funeral Director & Embalmer in the State of Georgia. 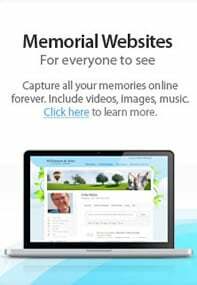 He is also a licensed insurance agent and certified crematory operator. He and his wife Amy help produce many of our tribute DVDs. They reside in Chickamauga, GA and have four children: Taylor, Shan, Bryant and Braleah. They are members of Peavine Baptist Church in Rock Spring, Georgia. Eric is a Licensed Funeral Director & Embalmer. He is also a licensed insurance agent, and a certified crematory operator. Eric is the owner and operator of Calvary Funeral Services Inc. providing services to families throughout the Southeast. He and his wife Brandy make their home in Ft. Oglethorpe, GA and are members of Covenant Worship Center. Jimmy is an ordained minister in the field of Christian Counseling. He holds a Doctorate of Ministry Degree in Christian Counseling from Covington Theological Seminary and is a Trained Grief Recovery Specialist through the Grief Recovery Institute. He has 30 years combined experience in the Fire/Police/EMS field. Jimmy is available to meet any family the funeral home serves. Jimmy and his wife Vickie make their home in Ringgold, GA. and are members of Peavine Baptist Church. Spencer is the third generation of the Wilson Family to join the family business. He is a graduate of Gordon Lee Memorial High School in ChickamaUGA, Georgia - Class of 2016. He is a member of Shiloh Baptist Church in Rossville, Georgia where he enjoys helping serve in the Junior Church. He is an avid Georgia Bulldawgs fan and enjoys working on trucks and fishing as often as possible. He is planning on attending Jefferson State College to receive his degree in Funeral Service.